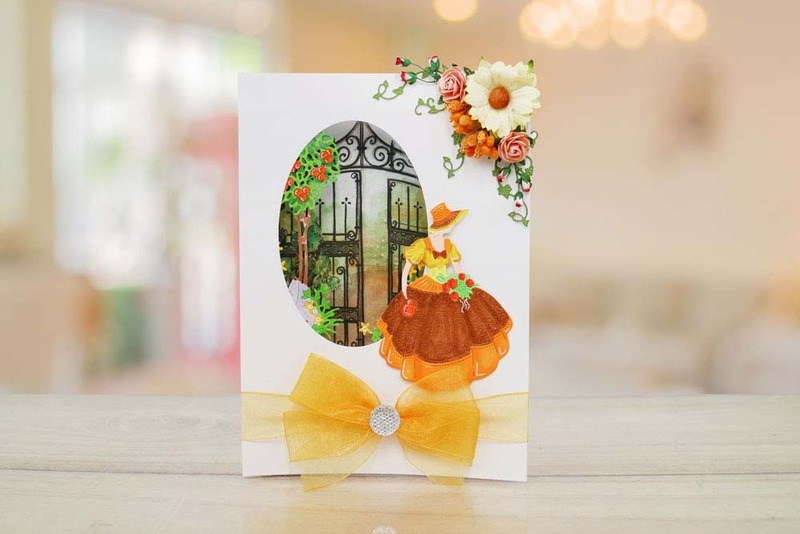 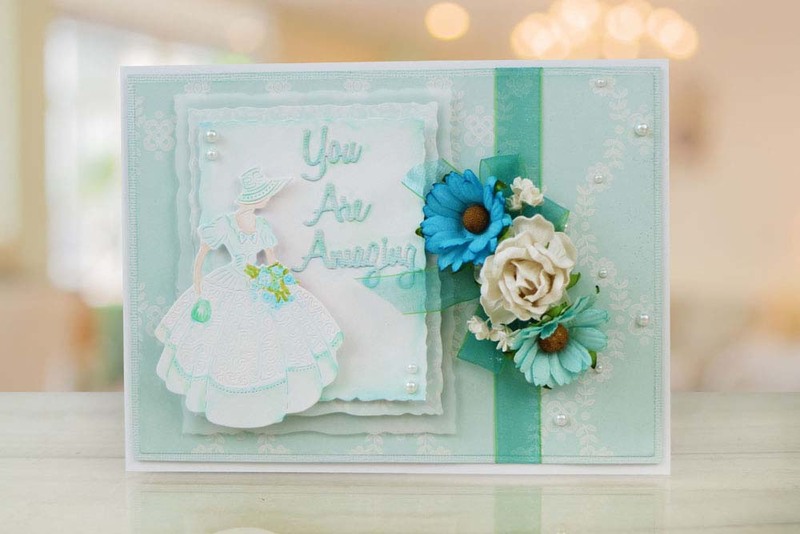 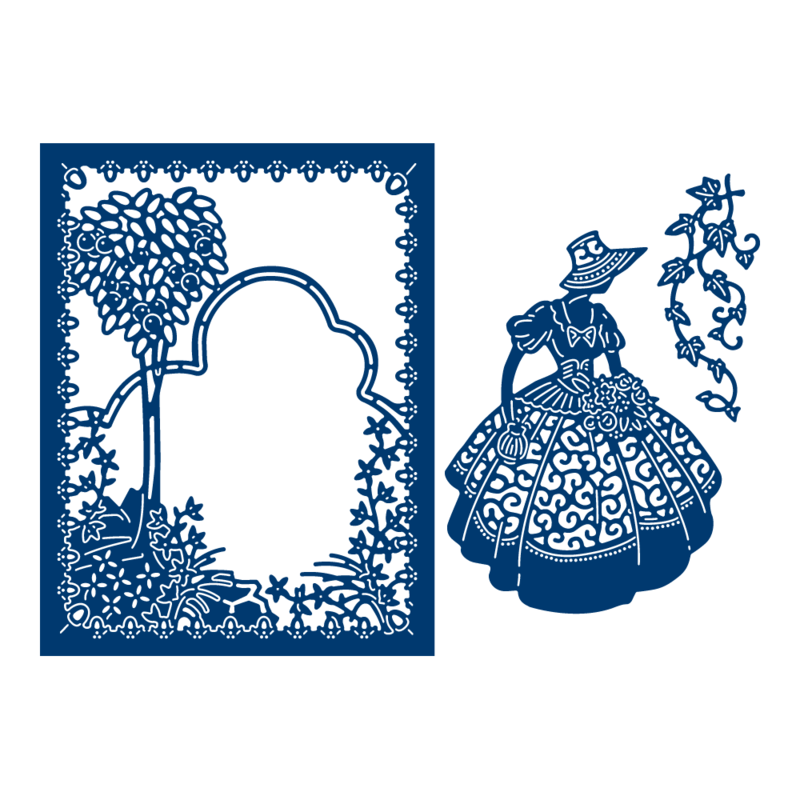 The Tattered Lace Country Manor Ida die set consists of a lady in a bonnet and gown with swirl artwork across the middle of her dress, a detailed frame complete with an arch, tree and foliage and a vines embellishment. 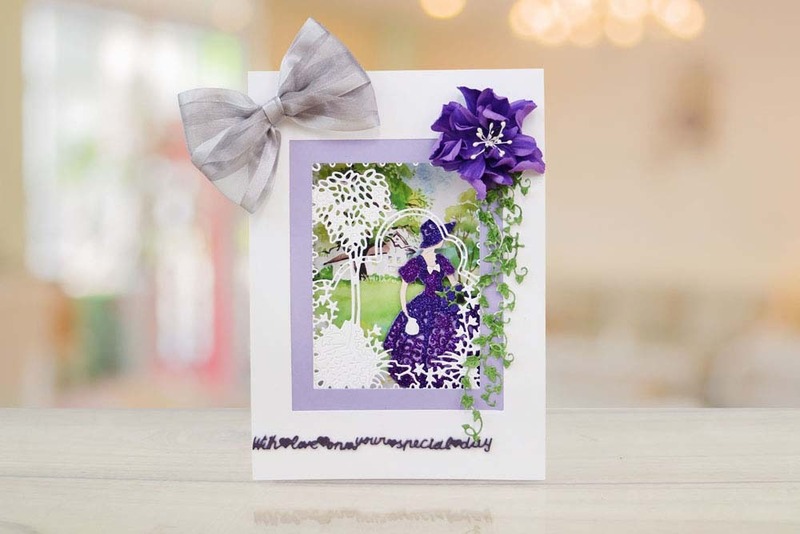 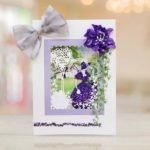 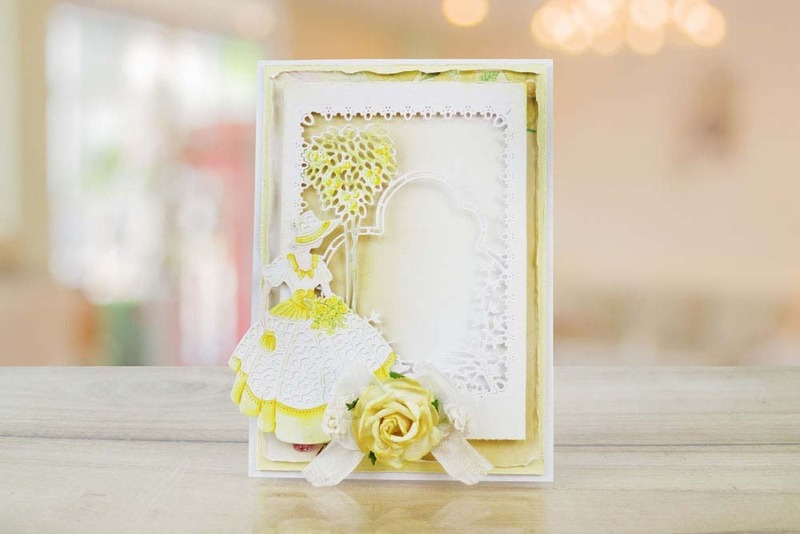 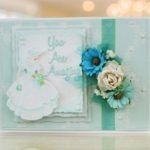 The die can be placed over the frame to create the look of entering the archway or she can be used singly on a variety of other projects, vines can be multiplied to decorate the edge of the frame or card. 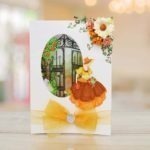 You could use many other embellishments like glitter, pearls, gems, 3D flowers and more to decorate Ida in different styles.